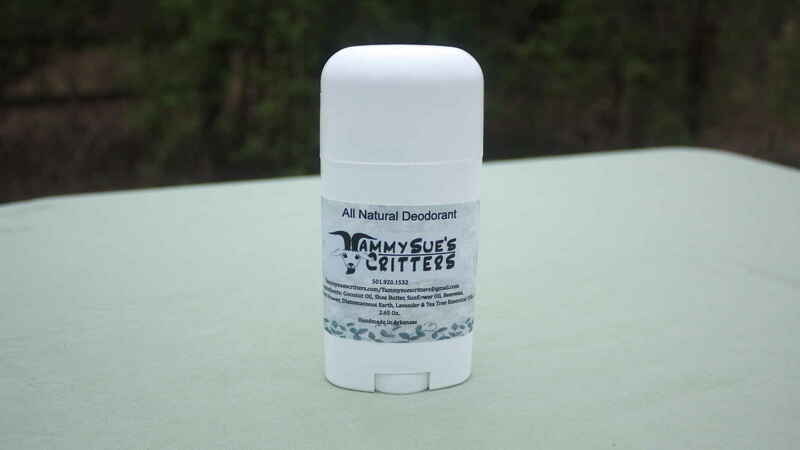 Our All natural deodorant is made with coconut oil, Beeswax, rice bran oil, arrowroot powder, diatomaceous earth, lavender and tea-tree oil. It comes in a 2.65 ounce tube. this is a great alternative to anti-antiperspirants. The beeswax keeps it from melting and the tea-tree is a great antiseptic.